Los Angeles Filmforum is pleased to present two nights of the work of Berlin-based filmmaker Ute Aurand with the artist in attendance. Stemming from the lyrical tradition of diary filmmaking and artisanal practices, her active and playful films emphasize the natural and social worlds through intimate forms of portraiture. She gives distinct attention to the inner dialogues of thought and the tactile experiences of women. Considered as portraits, her subjects do not reside in isolation, but move in conversation with their surroundings and with the interactive circuits of the filmmaker. Her responsive handheld 16mm camerawork creates a palpable rhythmic sensibility, while her montage brings together disparate passages of change occurring in her own life and in the lives of her subjects. These screenings include the work of Scottish film poet Margaret Tait (1918–1999), an influential filmmaker for Aurand. Together these works draw upon the wanderings of daily life and the search for fleeting moments of presence, dropping a myopic intensification of experience in favor of an exuberant engagement with the world. Tickets: $10 general; $6 for students/seniors; free for Filmforum members. Available in advance from Brown Paper Tickets at https://uteaurand1.bpt.me or at the door. Paulina Buda is my godchild, and I have filmed her since she was very young. Filming portraits allows me to emphasize private gestures and moments beyond narration and documentation. Portrait of the film maker’s mother. Filmed back on Orkney. 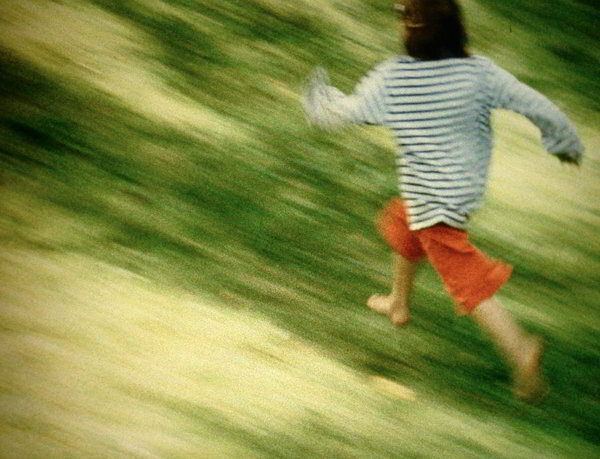 Terzen accumulates diary films of Aurand’s daily life and travels from 1992–1998. come back again. Often I don't know the people, but even when I know them quite well, I like brief moments of communication. The same with a sound, you don't have to listen to a whole piece of music, a bit of music is enough to evoke an emotion. Emotions are echoes of an image or a sound. They stay in us. Images and sounds disappear, emotion and memory stays.” - Ute Aurand in conversation with Federico Rossin.